The origins of the Giuseppe Desirò SRL date back to 1860, with the production of cars for tramways, transformed at the end of the century in that of presses for straw hats and felt and converted again in the 50s in the production of machines for the manufacture of caps crown and aluminum caps. The subsequent advent of plastics and the consequent revolution in the packaging industry in general, has led the Giuseppe Desirò to start in parallel with a new, modern and diverse design and manufacture of machinery for the assembly of plastic products for the sectors food, cosmetics, chemical, pharmaceutical and products for the home. 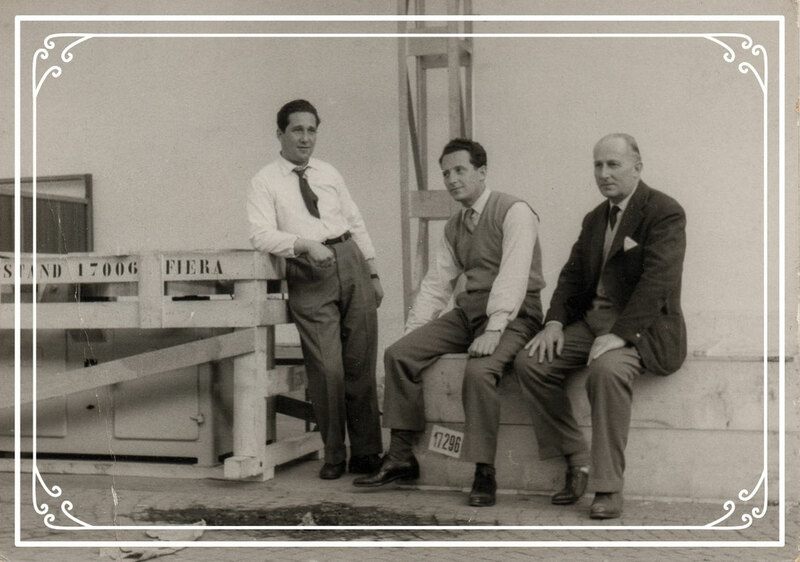 Historic photos of the management team of Giuseppe Desirò Srl, taken during an early edition of the Milan International Trade Fair.